When I was in London last year, I was introduced to an amazing new lifestyle boutique in Notting Hill that I thought was really remarkable in their creative efforts. Of all the stores that I have visited over the years, this one really stood out as something extremely unique and special. Owners and brothers George and Henry Graham opened Wolf & Badger in February of last year (right before my visit) to bring exposure and branding opportunity to emerging designers from all over the world. Both of the brothers came from an Art History background and have always had an interest in fashion and design which led them into this venture. They felt the desire to create a platform for emerging designers as well as assist them in all aspects of their entrance into the fashion market. George took the reigns of operations and management consultation while Henry handles the retail side of the business. Together, they built a store that works as a micro-boutique, collective, and showroom with a range of products and brands from clothing and accessories for men and women, to housewares, lighting and works of art. The store itself is a beautiful design with an intriguing layout on two floors. The offereings are mixed up to guide you seamlessly through different product lines and types: clothing sits next to a scarf line adjacent to a luggage line next to a jewelry case and candlesticks. The space was created for independent designers, as it has become increasingly difficult for them to secure affordable and prominent retail space to gain brand recognition. Wolf & Badger offers a sustainable solution to this problem and presents a totally unique platform for labels to be seen by shoppers, the media, trade buyers and industry experts. 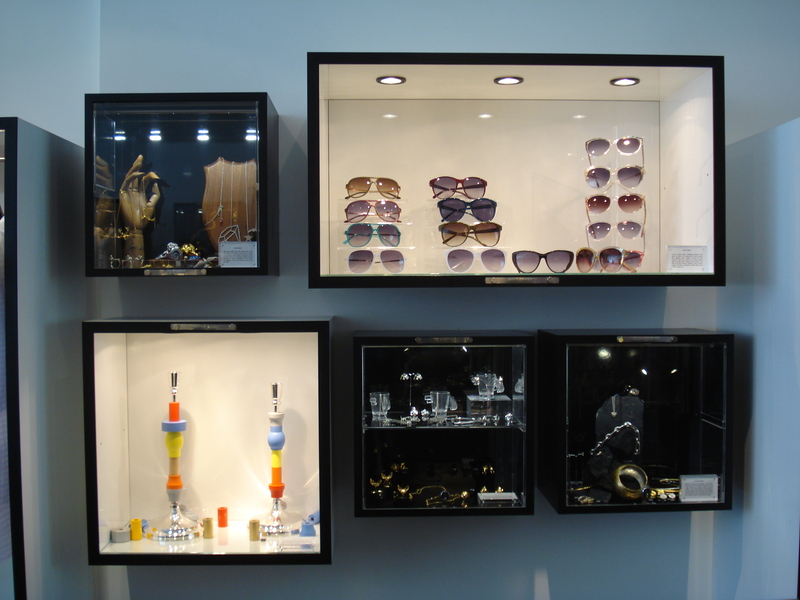 Through their innovative format, they enable the best new-generation and established designers to showcase their products in a prime high-street location, offering a full service that removes all of the challenges of setting-up and running a retail business. 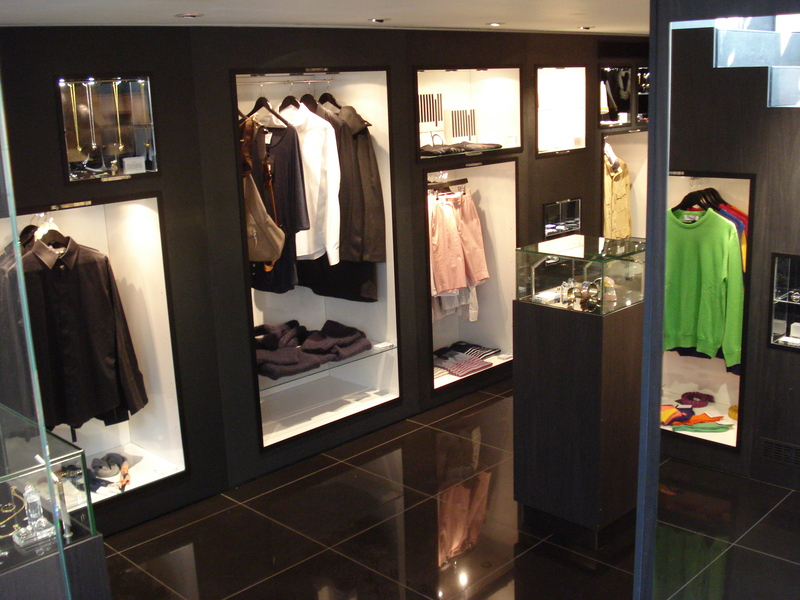 The store was designed around individual cubicles of different sizes built to showcase each designer’s wares separately. They carry an average of 70 designers per quarter which includes a 25% changeover each quarter. New talent is sourced from shows and markets as well as chosen from the large amount of applicants who have applied through their website in hopes of being invited to showcase within their walls. All aspects of retailing such as staffing, sales, insurance, security and stock management are included in a simple licence fee, starting from just £55 per week. 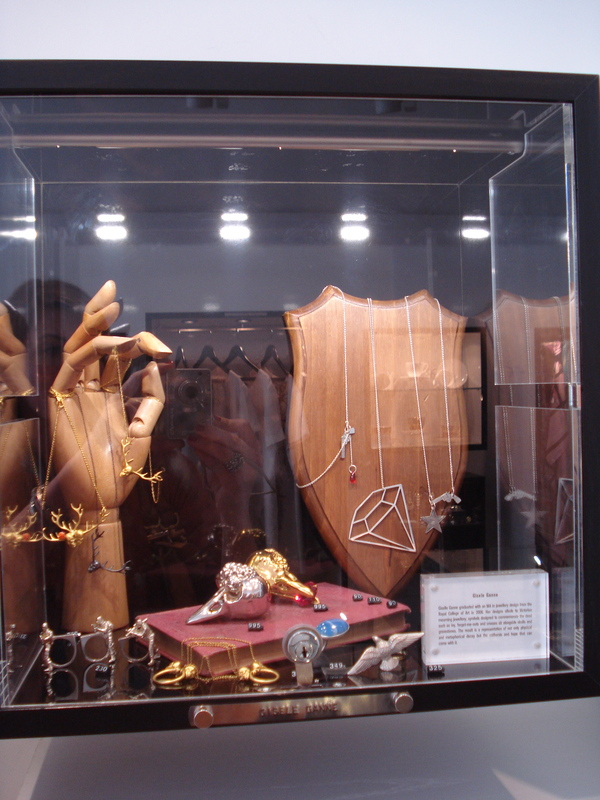 This allows the member designers to focus on what they do best – creating design-led marketable products. 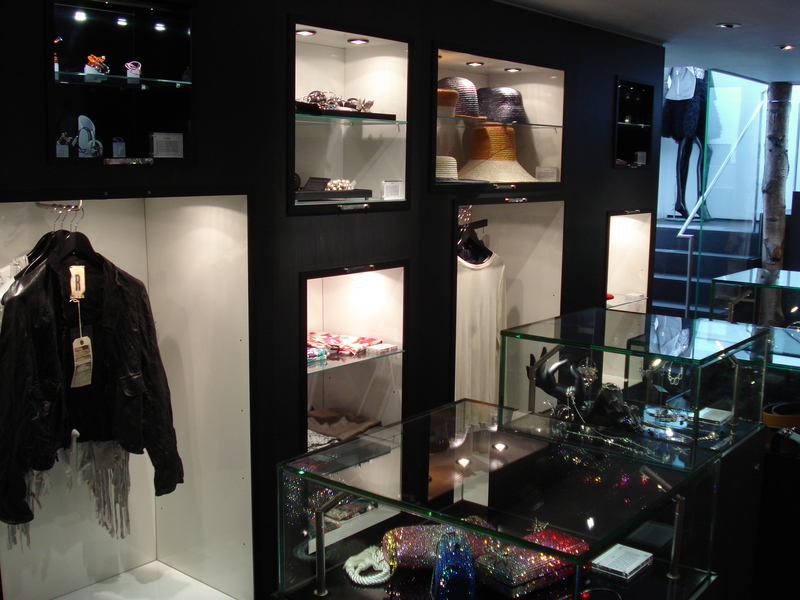 The designers lease the space/cubicle from the store and in return get a great amount of brand exposure to a wider clientele as well as assistance in creative and business strategy. As a consultant myself, I know how important this type of format is for new talent in the business. It is hard to gain the right exposure when you are small and new and it is even harder to get strategic insight into your brand from well-accomplished people. The staff that works at Wolf & Badger have been pulled from high-end fashion retail backgrounds with skills that best assist their goal of brand promotion for new names. The present Creative Director of the space came with experience working for both Matthew Williamson and Alexander McQueen. The amazing staff works with each individual designer helping direct their designs, pricing, marketing and overall business direction before they even place their product into the store. Even after the designer leaves Wolf & Badger and moves into bigger markets, they continue to receive valuable input and direction from the team. This amazing platform has assisted many designers to go through Wolf & Badger and into many high-end department stores and specialty accounts all over the world from Harvey Nichols, Colette, Barneys NY, Opening Ceremony and Selfridge’s. The store has become a hot spot for stylists to seek out the “next big thing” as well as buyers from Europe coming through to see up and coming designers. 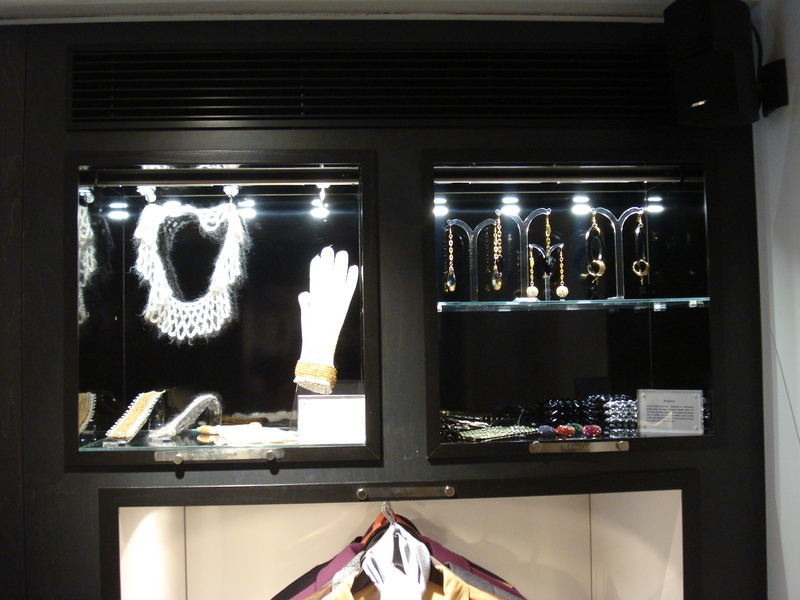 The store has garnered alot of attention over the past year and was voted as one of Vogue’s “Best Boutiques of 2010″. Macha, Curiosa & Curiosa, del Rio London, Ascher, Marcelle Lawson-Smith, Nazia Mughal, Lynne Maclahlan, Vol.1, Elyona, Rainbow Winters, Mayuko Yamamura, Domingo Rodriguez, Isharya, Noa Fine Jewelry and Miquella. See their current designer roster here. Wolf & Badger is the perfect venue to launch or expand a high-end designer label and I wish we had more of this type of unique platform out in the retail market. This platform is a great inspiration for anyone who is looking to make a difference in the retail environment. Taking cues from their format would bring great value to the fashion business at large and create more of the supportive community that we are all looking for. 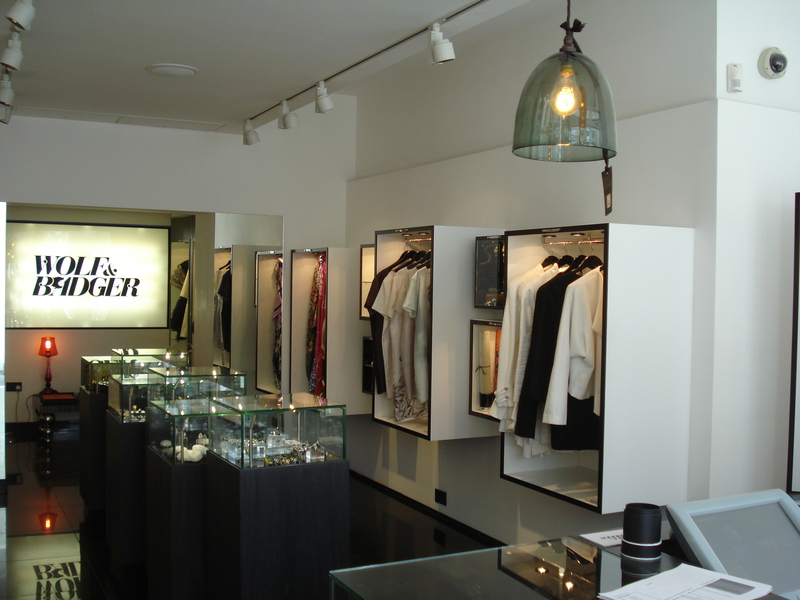 Many thanks to Kelly Dent, our London correspondent, for sharing Wolf & Badger’s story with The Sche Report! Generally I don’t read article on blogs, but I wish to say that this write-up very compelled me to check out and do it! Your writing taste has been amazed me. Thank you, quite great post.